2018 / Diary Entry / Nov-Dec: "into winter"
I attended a conference at the National Oceanography Centre in Southampton, entitled “From HMS Challenger to Argo and beyond” which was jointly sponsored by the History Groups of the Royal Meteorological Society and the Challenger Society for Marine Science. I was surprised, and pleased, by the range of people there from my past life! They included Brian McCartney, who had first employed me at the National Institute of Oceanography as a vacation student in 1968 testing acoustic transducers, Jim Crease who was Head of the Marine Physics Group at NIO when I started work there in 1972, and meeting organiser, John Gould who had taken over as Group Head. 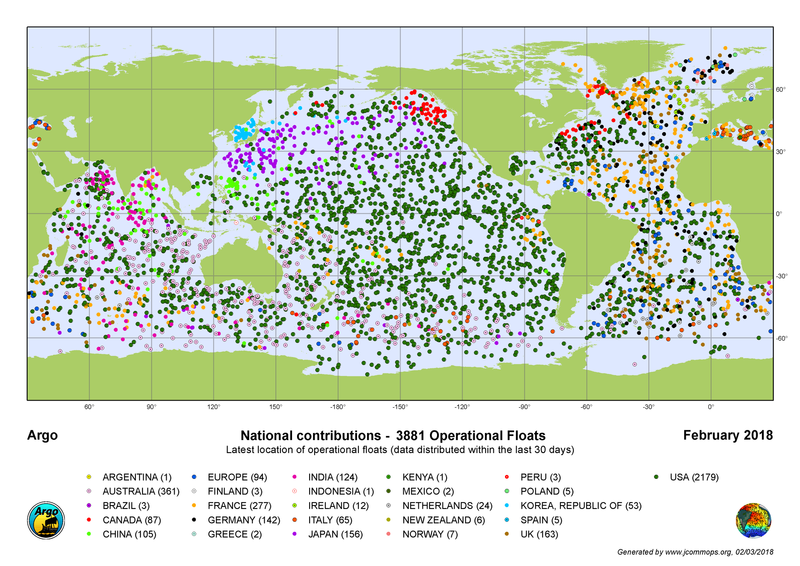 The development of the Argo array of profiling floats has mainly happened since I retired in 2007. 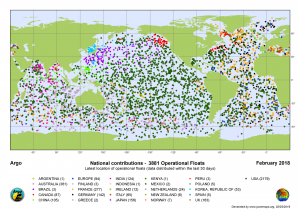 It is now an impressive part of the Global Ocean Observing System (GOOS). Katy Hill, now at WMO in Geneva talked about the status of GOOS the development of which I was much involved with as Chair of the Ocean Observing System Development Programme working group. It was interesting to know a report which Bob Weller (from Woods Hole) and I prepared is still being referred to. Karen Heywood, from Univ. East Anglia, also talked of aspect of the GOOS – including seals as instrument platforms. I remember Pierre Morel then Chair (?) 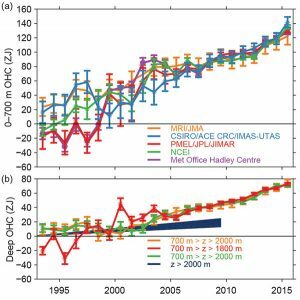 of the Global Atmospheric Research Programme (GARP) complaining that some of the platforms transmitting data over the WMO Global Telecommunications System were not reporting meteorological data. It was explained to him that the platforms in question were elephants being tracked for conservation purposes. Nowadays even elephants would be expected to report met data! In the early days of the World Climate Research Programme the idea was that propelled platforms like Autosub would measure the world ocean. However it is the Argo free-drifting float array which has achieved that objective and has greatly reduced the uncertainty in our knowledge of the upper ocean heat content, and its continual increase. In the early days of GARP constant level balloons were meant to do a similar thing in the atmosphere but they couldn’t get them to stay at a given height long enough. Before the meeting I talked to Liz Kent of the Met Team that I once was part of. It was gratifying to find that the concept of a higher quality set of Voluntary Observing Ships, which I’d tried to develop, has lived on with the data actively used. At the time I retired I thought it was doomed to failure. 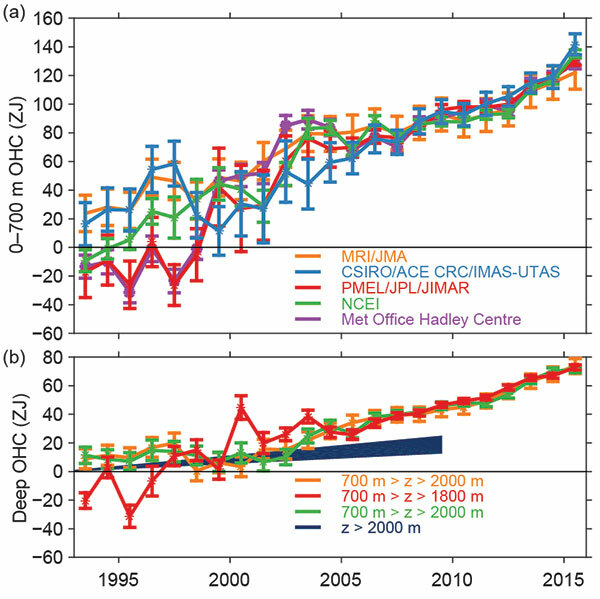 Work that Liz has done on sea surface temperature has been an important contribution.